Washington Wizards guard John Wall did not have a strong performance against the Cleveland Cavaliers and he knew full well. 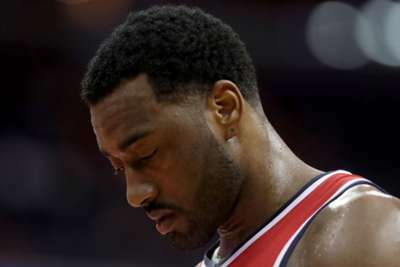 Wall did not make much of an impact in Washington's 116-101 loss to Cleveland on Saturday, scoring a career-low one point off a free throw. He told reporters after the game he has been dealing with a bone spur in his left heel and should not have played. "I couldn't move," he said. "I couldn't run. I probably shouldn't have played. That's my fault. But you learn from your mistakes. "You've seen me out there. You know me, I can dance. I really couldn't move, couldn't run. But you've still got to play better." "I didn't have to look at it [his stats]. I already knew it without looking at it. First game of my life; one free throw, no field goals." Bradley Beal helped lead the Wizards with a team-high 27 points, but he expressed frustration with how the team played. Washington had won three straight before losing to the Cavaliers.